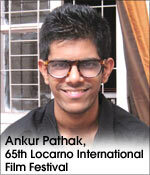 Ankur Pathak captures the essence of the Locarno International Film Festival, live from Locarno! After including films as linguistically diverse as one can accomodate, the eighth day at the Locorno film festival couldn't pack as heavy a punch as the preceeding days did. Hong Kong director Soi Cheang's (Dog Bite Dog, Home Sweet Home) new feature Motorway premiered at the Piazza Grande last night. The action-heavy film, filled with elaborate car chase sequences as the title conveys, is directed with rooted inventiveness. But it eventually becomes a product whose strongest elements consist only of the set-pieces. The human dimension seem like an awkward inclusion as if to justify the recklessness. An over-ambitious traffic cop wants to bust a criminal duo who scheme to rob a fist-sized diamond from a prominent jewellery store. Rather than trying to stop the stint itself, the cops merely plan to catch them in pursuit. This is obviously the excuse to include adrenaline pumping cruising sequences, which if evaluated in their individuality, are expertly crafted by Chin Ka-lok. After a point, even the pursuits get a tad repetitive and even the refreshing highways of suburban Hong Kong cannot sustain a continual interest. It`s rather shocking that a film that aims to thrill with the best possible tools of sophisticated machinery succumbs to monotony, like a video game that you are tired of playing. Themes of loss and friendship, or the disciple-student relationship, deliberately kept understated, fail to evoke any sense of emotional curiosity. The film features Hong Kong`s widely regarded actor-director Anthony Wong whose body of work has been recipient to many international awards. He plays mentor to a young Shawn Yue, the emerging one out to pull down the mob of two. On asked about the casting of Anthony Wong as the composed veteran driver opposed to the anti-hero roles he is most known for, director Soi Cheang said, "Wong's the most talented actor in Hong Kong cinema and it is because he brings a uniqueness to every project. We projected him as a lazy, laidback character who is reluctant to reveal his past and Wong brings this out very well. He makes you like the person." Although Hollywood notoriously churns out productions that heavily glamourize racing cars, what is his view on the film acting as a misguided inspiration to the impressionably young? "I dont think we have tried to make a film that influences the audience in any negative manner, but on the contrary highlights the dangers involved in speeding up. Besides, the age limit will ensure the negative impact, if at all, is minimal." 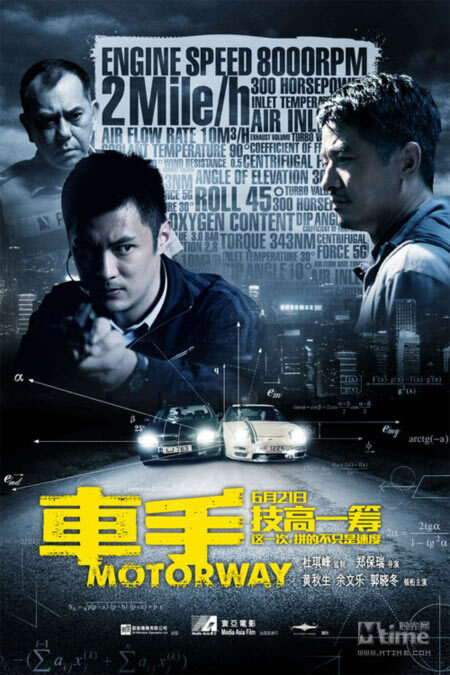 The car chases in Motorway have been filmed with minimum use of CGI, as the producers claim they didn`t have a strong financial backing to achieve the same. "We haven't tried to emulate Tokyo Drift or anything because frankly we cannot match the production values. The film has released in some Asian markets and the box office response has been very good. People have appreciated the orignal style of Hong Kong action." Another underwhelming film of the day included the pointlessly black and white marital drama, While We Were Here, featuring Kate Bosworth as an unhappily married woman who enters in an illicit affair with a younger man while on a trip to Italy with her violinist husband. The locales are unsurprisingly gorgeous and the director capitalises on them the most, but the inherent idea of an extra-marital affair comes across as dated as the granny tales of First World War, something Kate`s character has been plugged in to, hoping that a book comes out of it. The film has absolutely no novelty in it, unless you count the silly yet inspired jokes that seem to be the only memorable thing that comes out. Towards the rather unpleasant end that suggests catching a train to an unexplored destination as the solution to complicated personal matters, the impromptu love affair is reduced to a cheap thrill triggered solely out of lust. A strange thing that the film also enforces is an archetype that violin-playing men must be really boring. Because for its most part, Kate's character seemingly indulges without any emotional baggage while the entire "i-can't-be-pregnant" dilemma coming across as an unfitting afterthought to redeem the guilt. On the whole, quite a dry day at the movies at Locarno.